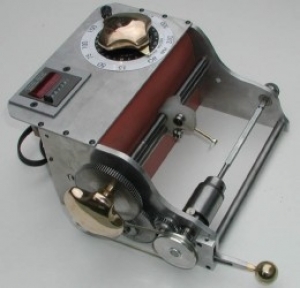 A small coil winder for miniature ignition coils. Plans found in "Model Ignition Coils and Magnetos" by Bob Shores. The wire passes through a series of pulleys before reaching the coil guides. Gary's craftsmanship is truly one of a kind. Gotta give credit to Bob Shores too for such a sleek design.